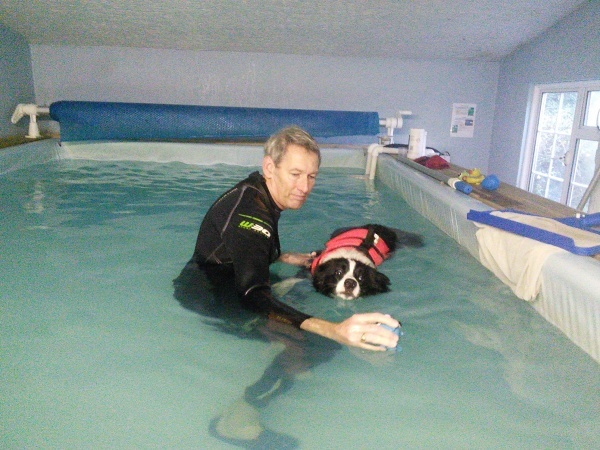 The Hydrotherapist is in attendance both in and out of the pool at all times. You will find the pool perfect for any breed, size, and shape of dog. 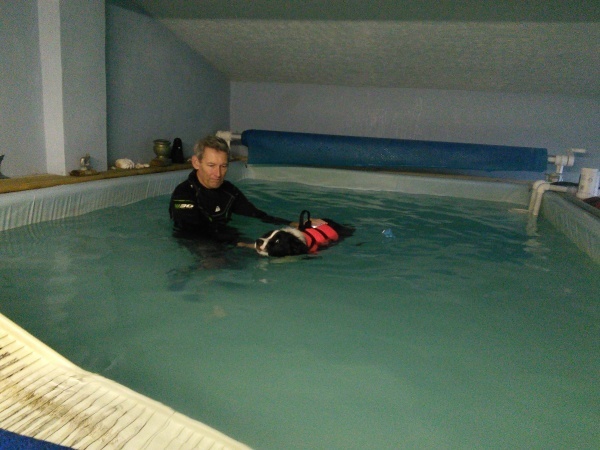 We are fully insured and can help you with your own insurance claim if required but please check your policy to see if you are covered for hydrotherapy treatment. The 4 x 2.5 metre hydro pool is heated with drying facilities on site. 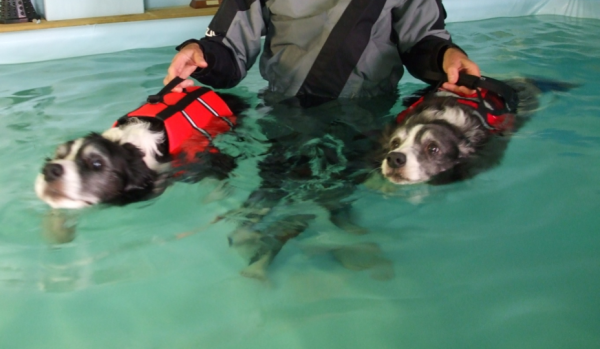 We recognise that in conjunction with good veterinary treatment hydrotherapy can significantly improve the quality and rate of healing following surgery or traumatic injury. It can help with the relief of pain, swelling and stiffness and general rehabilitation. Or swim for fitness and fun!